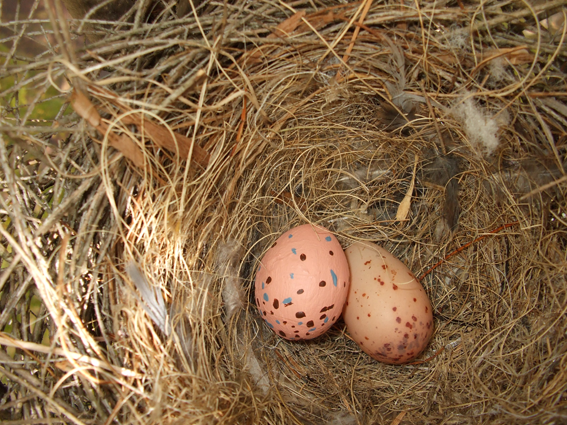 Avian brood parasitism is a model example of coevolution, yet measuring the rate at which coevolution takes place between a brood parasite and its host is difficult, as parasites rarely switch to completely naïve hosts. In Australia, the brood parasitic Eastern Koel (Eudynamis orientalis) recently switched to a new host, the Red Wattlebird (Anthochaera carunculata), providing a rare opportunity to observe coevolution in action. We compared the evolution of defences in the new host with those of traditional hosts at two sites with different durations of parasitism by the koel: Sydney (~37 years) and Canberra (~7 years). Specifically, we tested 1) which hosts have evolved the ability to reject foreign eggs, and 2) whether wattlebirds have learned that female koels are a threat to the nest. Model egg rejection experiments showed that the traditional hosts are expert egg rejecters, whereas the new host has not evolved egg rejection at either site, indicating that 37 years of parasitism is insufficient time for egg rejection to evolve. We presented nesting Red Wattlebird pairs with a taxidermic mount of a female koel and mounts of two control species to determine if wattlebirds view koels as a nest threat. In Canberra, wattlebirds did not attack or alarm call more at the koel mount than at the other mounts. However, Sydney wattlebirds showed significantly more aggression towards the koel mount than to the control mounts, indicating wattlebirds in Sydney have had enough time to learn koels are a threat. This study provides important information on how quickly hosts and parasites can adapt, which can be used in fields such as conservation and speciation. Contributed by Virginia Abernathy, PhD candidate at ANU.